Wheat, part 1: What kind do I need? Just about every preparedness guide will tell you to store wheat and lots of it. What many do not say is that there are different types of wheat and it matters which types you buy and what you do with each. Whole grains should be an important part of most people’s diets, so why isn’t there more information about how to choose them for everyday use and long-term storage? In this series, I want to give you more information about wheat- the best types for different uses, some growing information, advice for how to store it, and alternatives for those who cannot tolerate gluten. After more study (especially with a wonderful book called Cookwise) I am beginning to understand the science of how this whole bread thing works. Once you “get” that part, it allows you to choose appropriately and makes trouble-shooting easier too. Commercial flours may contain different types of wheat in various proportions to produce a particular product. Two of the main things to know are how much protein and gluten are in each type of wheat. For yeast breads, you need a high protein wheat- something with at least 11%. For quick breads, pie crusts, cakes, and so on, you need wheat with a protein content of 9% or below ideally. This was the next hurdle for me. When I would look at catalogs and online sites to order, they didn’t list wheat by it’s protein content. They listed brand names like Prairie Gold or Bronze Chief or used terms like “soft” or “hard,” “winter” or “spring”, “red” or “white.” So, here is a basic rundown on how those types are used. There can be some variation in exact protein content depending on the growing and harvesting conditions, rainfall, soil type, etc., but these explanations will give you the general differences. This type of wheat can vary from about 12-16 percent protein content. It has a high gluten level. This wheat typically has a protein content of 8-11 percent protein and less gluten. The resulting flour is better for lighter food products and sweets than pan breads or hard rolls. This type of wheat usually has a 12-18 percent protein level and high gluten. It blends well with others to create lighter products, but makes very good pan breads also. This one is tends to be a bit sweeter than red because the phenolic compounds and tannins in the red bran layer are absent in the white variety. The protein content is around 12% or higher with a good bread-making gluten content. It is considered by many to be pretty multi-purpose. Being a “soft” wheat, this one will also have a lower protein content (maybe 8-11%). This is the type often used by bakeries and commercial producers to make cakes, crackers, and other “light” products. 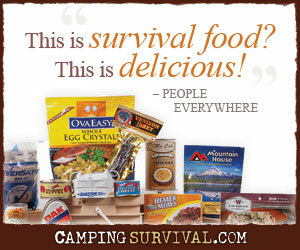 It shouldn’t be the backbone of your food storage, so you will probably not buy a lot of this. You are familiar with this name because you see it on many boxes of noodles. It has a high protien content (14-16%), but is not usually used for bread-making. It’s most common use is for pasta. Got a favorite type of wheat or supplier you want to tell us about? Please share in the comments section below. Thank you for this, your timing is perfect. I decided recently to grow wheat on a small scale, so this advice is perfectly timed. I have no idea where to look though, so I’ll be eagerly awaiting the rest of this series. Thanks for taking the time to comment. I was amazed at how scattered and difficult this information is to find online. It’s taken me some time to research and put together. For that reason, we haven’t yet tried growing it ourselves but we hope to this spring. I hope you find the info useful. I sure do appreciate the effort you put in for this write up. Lots of folk will “GET” It now. Thanks so much for your kind words and encouragement! I really appreciate them. I ran across similar information in this book: “Healthy Bread in Five Minutes a Day: 100 New Recipes Featuring Whole Grains, Fruits, Vegetables, and Gluten-Free Ingredients” by Jeff Hertzberg MD and Zoë François. They list raw ingredients, what they are best suited for, and best sources to buy. I got this from my library – always a great place to “try before you buy”. Thanks so much for recommending the book, Sarah! I knew there must be some more good resources out there that I just hadn’t found yet. I will look into that one too. That web address takes you to GoDaddy, the domain purchasing site. It isn’t valid now. I realize that there is some controversy about wheat, but on other hand, it has been the “staff of life” for thousands of years. For the vast majority of us, wheat is a familiar and embraced part of life- a comfort food. It represents normalcy in the way of bread and celebrations in the way of birthday cakes and so on. Certainly, everyone must plan their food storage based on their religious and dietary beliefs and any health conditions (like gluten allergies), but most of us enjoy wheat products pretty often. For that reason, I think it is a topic that needs coverage. Great post. We storage hard and soft red winter wheat in #10 cans with 25 year shelf life for us. Based on your post I may add some spring wheat for lighter flour. I also grow a patch of wheat for our chickens. I don’t grow for us because its so much easier and cost effective to just order a #10 can 🙂 Maybe seabee can do without fresh bread in a SHTF situation, not me. Cheers!